The Georgia manufacturers received support from the Georgia Manufacturing Alliance in 2015. More than 1,500 attended the 73 events that this organization hosted which included plant tours, educational session and networking events. 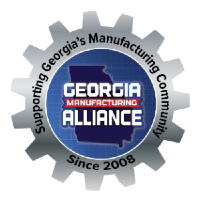 Georgia Manufacturing Alliance (GMA) had a productive year in 2015. Many members recently shared how much they enjoyed being part of the 73 GMA events we hosted this year. Although testimonials haven't been received from all of the 1,500 attendees, many people complimented the variety of formats that were offered - including factory tours, educational sessions and networking events.